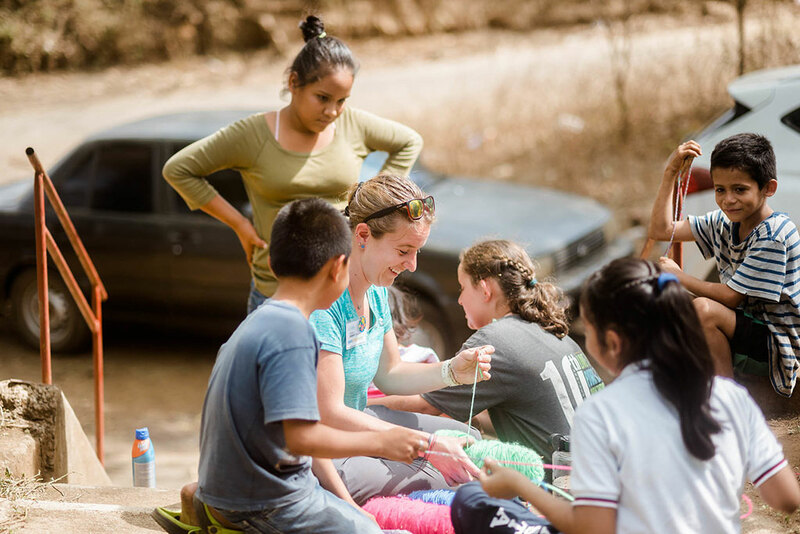 With over 10 years of experience in Central America, Vida is the partner you are looking for to ensure a mind-enriching, safe volunteer travel abroad for your students! We work with many US and Canadian Universities to organize meaningful Service-Learning and internship abroad trips that combine academic components, reflection activities and cultural immersion opportunities that result in an exceptional “beyond the classroom” experience. Universities and faculty choose Vida Volunteer’s study abroad programs because of our high quality and ethical experiences, our approach to volunteer safety, comprehensive pre-departure training, and the personalized support we offer to university staff and all group members during every aspect of their journey. Our trips help provide access to vital services and care to thousands of people and animals. We provide students the opportunity to experience first-hand, the challenges of health and/or veterinary care. Under our different internship abroad programs, they will gain knowledge, skills and global awareness while reducing inequalities and increasing health literacy in underserved communities in Central America. Vida provides expert support and the flexibility you need to create your own custom trip. Our tailored options typically range from 9 days to 13 days in Costa Rica, Nicaragua and Guatemala. We’ll work with you to develop the perfect program to study medicine overseas, meet your academic goals, university requirements, and your students’ diverse interests. This collaboration ensures a truly enriching cross-cultural experience that will help us make a difference in our communities. Our main fields are Medical, Dental & Veterinary and we can also incorporate teams emphasizing Public Health, Nursing, Nutrition, Spanish Medical Terminology, Animal Welfare and other Health related disciplines. If you are interested in learning more about our custom Service-Learning trips or in checking out Vida Volunteer, we can arrange a visit. Please fill out the form below to contact our Institutional Relations Coordinator. To future faculty I would say: Teaching a study-abroad program is the most rewarding educational activity you will ever have, giving your students a unique academic and cultural life-changing experience. I have worked with VIDA for four years and having a professional organization handling the complex logistical issues and managing every detail, allowed me to focus on my primary duty, which is teaching. The doctors and staff are extremely knowledgeable and personable. One of the most important services that VIDA can provide is peace of mind – knowing that I have assistance in a matter of minutes with any emergency or problem we might encounter. I can't recommend VIDA more highly. This is the 2nd year as a faculty adviser for our group. Both years were in Nicaragua, and I couldn't have been more pleased with everything. Lorena & Amy were our TL & ATL, I give them my HIGHEST recommendation- they worked tirelessly to ensure we not only got as much out of our clinical service & learning, but also in the trip as a whole to understand the country & culture. Our Doctors & Translators were all top-notch: friendly, personable, kind and compassionate. I would recommend VIDA to anyone looking for a medical service trip! I have been privileged to participate in Vida trips to Nicaragua and Costa Rica for two consecutive years, and both experiences were outstanding. As an instructor, there is nothing more gratifying than seeing students grow and develop, in both their professional and personal lives. The services Vida provides in the communities it serves offer an opportunity for students to exercise the knowledge and skills they are attaining in a real-world application, often in conditions that not only challenge but also inspire them to be the best they can be. Students practice their craft while forming deep relationships with fellow participants and Vida staff. For many students, this is the first time they have seen first-hand the impact their actions can have on the world around them. Often, this is also the first time they have traveled outside of their home country. One of my favorite things about this trip has been watching students' apprehension about homestays with strangers in a foreign country turn to joy and laughter as they connect with their new families. Many students have told me that this experience truly changed their lives, and they can't wait to come back. Watching my students become more confident in their own abilities, expand their awareness, and open their hearts has changed me for the better, too.